The all-new Forester offers even more room for comfort, with exceptional passenger volume. And now the second row even offers available heated seats, A/C vents, and USB ports to bring front-seat comfort to every passenger. Doors open up to 80% degree for easier ingress and egress, and the door pillar has been squared off for easier access. An updated STARLINK Multimedia system with Apple CarPlay™ and Android™ Auto, comes standard on the Touch-screen infotainment system. Now you can haul more gear for more adventures, thanks to up to 520L of cargo space, and with an extra-wide rear gate opening, loading and unloading large items is easier than ever. The balanced design of Symmetrical All-Wheel Drive creates uniform stability and delivers an optimal distribution of power for maximum traction in virtually any weather or road condition. 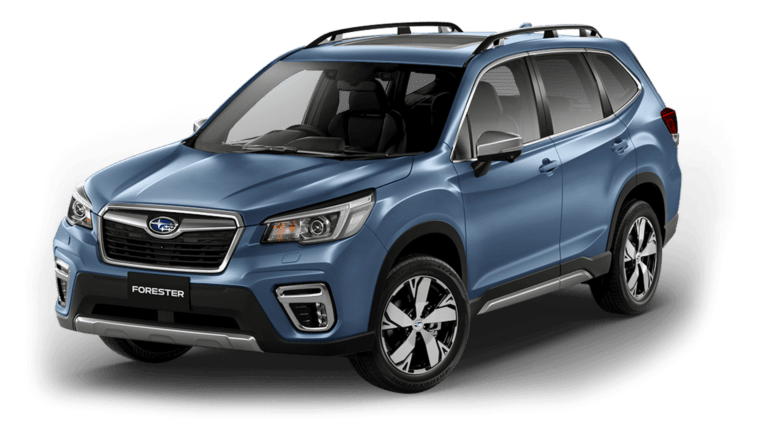 The Forester now incorporates Active Torque Vectoring to brake wheels closer to the corner, and distribute additional torque to the opposite wheels for better cornering ability. Our Boxer engine which powers every Subaru model has a horizontally opposed design and boasts a low centre of gravity that helps create more balanced handling, flatter cornering and greater stability on every type of road. With available Reverse Automatic Braking, your vehicle can even stop itself to help avoid objects behind you. Fewer blind spots ensure that you can maintain a clear view from the driver's seat of your loved ones around the vehicle. Rear Cross-Traffic Alert helps warn you of traffic approaching from the side as you are backing up, and a standard Rear-Vision Camera enhances visibility when reversing.